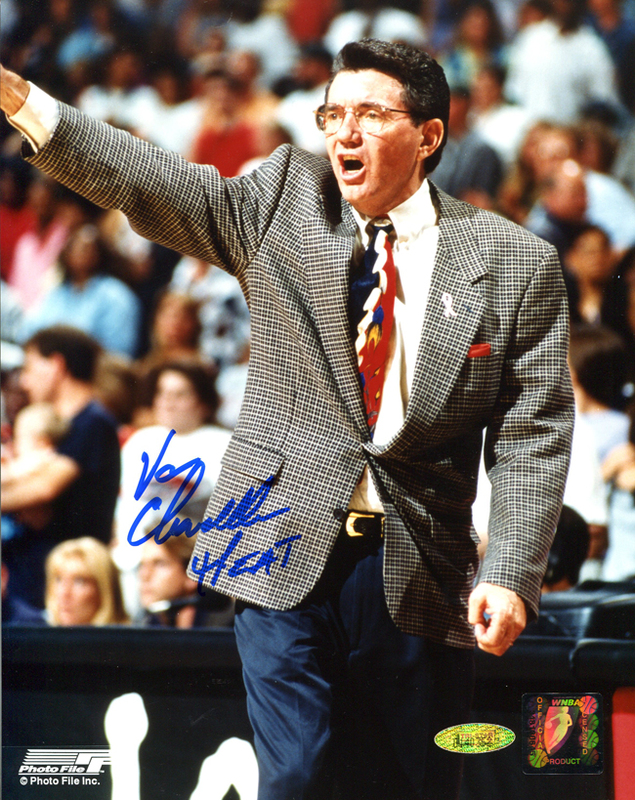 Van Chancellor autographed, hand signed Houston Comets 8X10 photo inscribed 4-Peat. Coach Van Chancellor won back-to-back-to-back-to-back WNBA Championships with the Houston Comets. Each Van Chancellor autographed Comets photo includes an individually numbered, tamper-evident TRISTAR Authentic hologram. The authenticity of your Chancellor hand signed photo can be verified at www.tristarauthentic.com, where you can also print a certificate to display with your item.